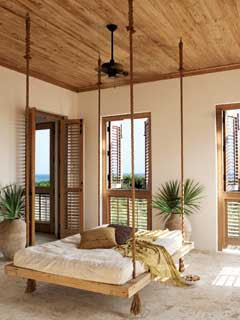 I've seen quite a few posts in the past few weeks with images of whimsical swing-inspired beds. Although they look amazing and very unique, I must break it to you that they are not very comfortable. 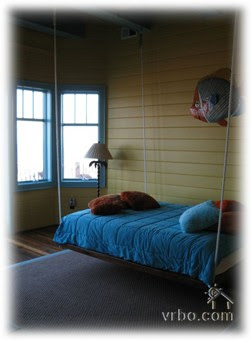 I had the pleasure of staying at a wonderful home on Figure 8 Island in North Carolina back in September and my husband and I took the room with the swing bed because we thought it was fun and that way no one else had to be stuck there. Yes it was fun in theory but there is no way that I could have slept in that bed for one more night. 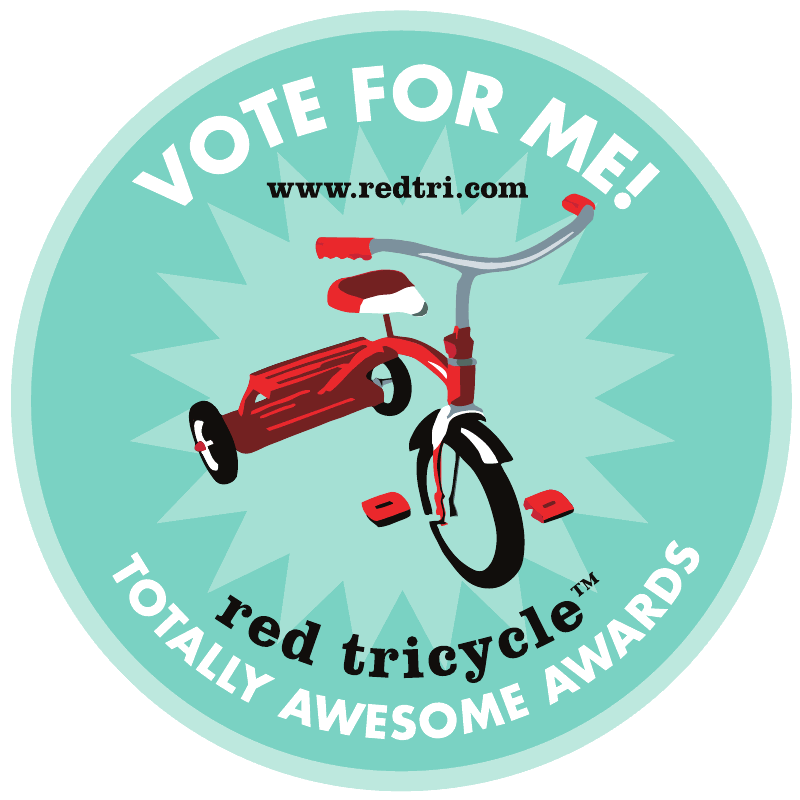 It is not comfortable on the back and it rocks quite a bit. Since it sits on basically a piece of wood, there is no box spring and unless you have a thick high quality mattress it feels like you are sleeping on a plank of wood. Maybe a tempurpedic mattress and Frette sheets might have helped. If you are thinking of having one put in your home I recommend placing it in a screen porch for casual afternoon naps (as a more decorative and interesting alternative to a hammock). Yes kids will still love it regardless of the comfort level if you put one in their room, but beware that they really rock and hit the wall. Despite my warnings, here are some more photos of this bed idea in case you or your kids just HAVE to have one. The last image below is the actual room where I stayed in Figure 8 Island (via VRBO). The house was an amazing rental and this was honestly the only off room in the whole place. 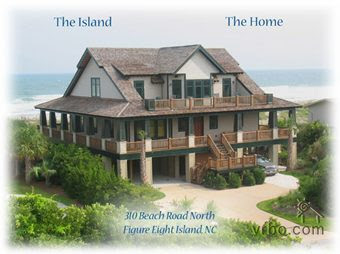 I definitely recommend it if you are looking for a North Carolina beach Getaway.